Your Porsche is a machine that has been finely crafted with care and expertise. Every square inch was designed thoughtfully with function and performance in mind. Those who have the privilege of driving models such as the Cayenne and Boxster know how lucky they are to be behind its wheel, and they generally care for them as such. However, despite any level of ongoing care and maintenance, there are still some problems that these two models tend to experience. We know, it’s heartbreaking to hear that your Porsche might be susceptible to a serious performance issue down the line; but rest assured, there are ways to detect these issues before they becomes serious. One of the most important tasks you have as a Porsche owner is to maintain it to a standard of perfection, just as it was designed for – no big deal, right? Well, in this article, we’ll go over one of these two models’ typical performance issues: mass airflow sensor failure. We’ll discuss what the part is, how to detect a problem with it, and of course, how to tackle it. As we mentioned before, the Boxster and Cayenne are susceptible to a particular issue with mass airflow sensor failure. In an electronic fuel injection engine, a mass airflow sensor is one of many different technical components that is responsible for optimizing engine performance – which, we don’t need to tell you, is important when it comes to any Porsche vehicle (and to any owner for that matter). Why is Your Porsche’s Mass Airflow Sensor Important? A Porsche’s mass airflow sensor (MAF) is a small but critical element in your vehicle. The MAF sensor is what helps your engine control unit retrieve enough information to make changes to how your engine combusts, thereby optimizing the way your vehicle performs. This part sends data-containing messages to the electronic control unit to adjust amount of fuel released into the combustion chamber depending upon the vehicles needs and the driver’s demands. As you can imagine, if the MAF sensor isn’t working properly, it can lead to serious, noticeable changes in the way your Porsche performs and must be repaired immediately to avoid further damage or disruption. If you notice any of these symptoms in your own Porsche, it is especially important to have the problem diagnosed by a Porsche specialist with immediacy and accuracy. The best way to prevent your Boxster, Cayenne, or other Porsche model from encountering MAF sensor issues is to follow your routine maintenance plan set forth by the manufacturer, which can be found in your owner’s manual. However, it’s important to know that these maintenance schedules aren’t all-inclusive, and your Porsche’s maintenance schedule may be dependent upon the other contributing factors we mentioned earlier. Ongoing maintenance is essential to optimize and continue your Porsche’s exceptional performance standards. Here at Hayes European, we’re somewhat perfectionists; we put our all into every task we perform, and there’s no maintenance task too small. 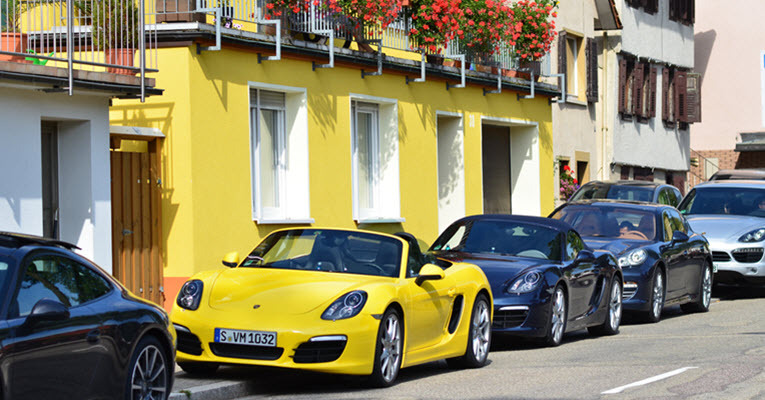 The Porsche drivers near the areas of Santa Cruz, Aptos, Soquel, and Capitola, CA, regard us as their go-to Porsche specialists because we work hard to develop trust with our clients. If you’d like to learn more about our expertise working with Porsche cars or to schedule an appointment, please contact one of our specialists today. * Porsche Car on Road image credit goes to: alens. * Old Porsche Front Look image credit goes to: Aflorin.